Amy Alkon (aka The Advice Goddess) is a California-based syndicated advice columnist and author of science-based books I See Rude People (2009) and Good Manners for Nice People Who Sometimes Say “F*ck” (2014), which humorously catalogue – with Seinfeldian detail – the most common, least endearing, social faux pas of our time. Alkon is not short on admirers, including the late, great crime novelist/screenwriter Elmore Leonard, and legendary actor Marlon Brando. Book reviewers love her. 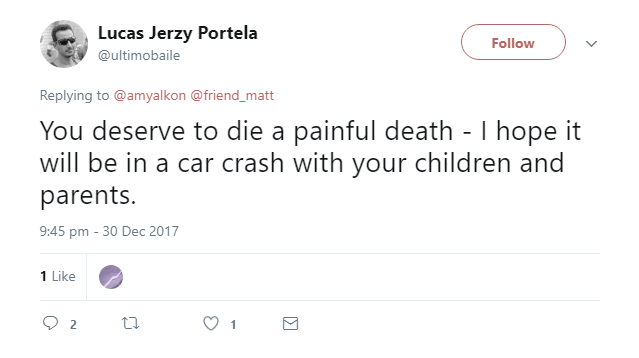 However, Alkon was recently hit by a string of one-star reviews after she was targeted by Twitter users who disagreed with her sharp criticism of parents who let their children cycle in LA traffic. More examples of the abusive comments here, here, and here. When Alkon refused to roll over, these online bullies migrated to Amazon where they left the malicious reviews apparently with the intention of damaging her reputation. Today, Amazon deleted reviews by two of the worst offenders. You can’t always stop people from kicking you when you’re down, but you don’t have to roll over for them so they can land better blows.